St. John Walshe is elevated to Americas CEO, while Jim Moser will leave his Australasia role to head up Europe. 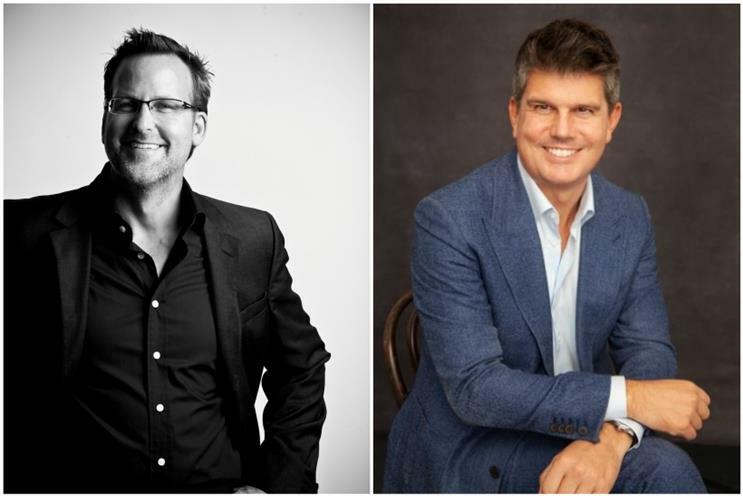 BBDO Worldwide CEO and president Andrew Robertson has announced two major regional management changes. St. John Walshe, currently managing director in Europe, will become CEO of the Americas. Meanwhile, Jim Moser is to transition from his lead role at Clemenger BBDO to chairman of Europe. "In both cases, the need is to help the individual agencies to sharpen and evolve their offers so that we can continue to deliver the world’s best work, but in a manner and a form that is relevant to the needs of those markets in the immediate and mid-term future, because it’s changing," Robertson told Campaign. "It’s not a question of running them, but helping -- adding value." Walshe started his career at BBDO in 1997 as an account executive on M&M’s. He has been the global lead on Mars for the past 13 years. In that time, it has grown into one of BBDO’s largest clients and a global flagbearer for its work (the most awarded client at Cannes the last two years in a row). For the last five years, he has also been leading most of the network’s agencies in Europe. BBDO has extensive succession planning for all significant regions. "You’re supposed to have a drop-dead candidate and three next-generation candidates for any of those major positions," said Robertson. "St John is both the drop-dead and the next-generation candidate. He’s a guy who has done an amazing job building a very, very large global client partnership by leading a big team around the world." He praised Walshe’s work in European countries which have been the victim of challenging economic environments over recent years, such as the debt crisis in Greece. Robertson said Walshe’s success has been down to "the right combination of innovation, guiding and using one point of region to develop others." Robertson hopes Walshe can steer the Americas market clear of the problems that can come with scale, like "start believing you have all the answers, which you don’t." He added: "You’ve got to find ways to be agile and not allow size to become your enemy." Moser has had several significant agency and group roles in the 19-plus years he has been with the Clemenger network. Prior to that, he led BBDO agencies in Poland and Italy. "It helps to be successful in Europe if you aren’t from Europe," said Robertson of Moser, who’s originally from Minnesota, U.S. "It’s a weird thing to say, but I believe it to be true. "And there is no more of a passionate believer in BBDO, its people, and what we stand for than Jim." The Omnicom shop is having one hell of a year. Last month, it won Ford’s global creative review. Longtime incumbent WPP is retaining the activation portion of the business, which includes pieces like media, production, CRM and digital. Wieden+Kennedy also came away from the review, which was run by Flock Associates, with a piece of the business, being hired for special projects and innovations. The industry and consumers continue to heap praise on creative work from BBDO that has moved the cultural needle, including Procter & Gamble’s "The Talk." At Cannes, BBDO claimed the title of Network of the Year for a record-setting seventh time. Asked where BBDO’s focus lies for 2019 in a bid to trump a successful year, Robertson said: "Our fundamental principle is conviction in the value of big foundational creative ideas and magical execution of those ideas at every single touchpoint on a consumer’s journey -- not just through the purchase, but beyond. That’s what we’re here to do. "The big pivot is to be ready for addressable media, building all the answers up from individuals about whom we know a great deal. "If we focus on delivering that, I think we’ll have a good year."